To get the most out of your loudspeakers there are a few simple rules to follow that will help you avoid potential problems. Match loudspeakers and amplifiers correctly. For example, if your loudspeaker is rated 200 watts RMS @ 8 ohms continuous output, choose a power amplifier that is rated at least 200 watts RMS @ 8 ohms for light to medium use. 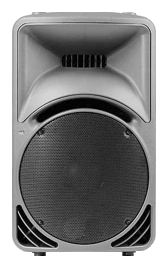 Some loudspeaker manufacturers use program or peak power ratings instead of continuous. Divide program and peak ratings by 2 1/2 to get a realistic continuous power handling. If you plan on regularly driving you loudspeakers close to their maximum continuous output levels, it's a good idea to get a power amplifier with a rated output that is 50-100% higher than the loudspeaker's rating. When power amplifiers are driven close to their design limits they will clip if the limit is exceeded. Clipping will turn your loudspeaker's delicate voice coils into toaster oven coils, smoke and a nice burnt smell usually follows. Extra power amplifier headroom gives you a margin of safety against clipping. Do not drive your loudspeakers beyond their limits. Any given loudspeaker is designed to put out only so much sound (SPL or Sound Pressure Level), if you try to turn up the volume past what they are capable of, they will eventually break. 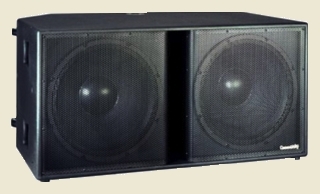 If you need more volume, you'll need to get loudspeakers with higher output capability or add addtional speakers. Often the loudspeakers are plenty loud but lack in bottom end, a subwoofer works great and takes a lot of the load off of your full-range loudspeakers. Don't forget to choose the right power amplifier(s) too. 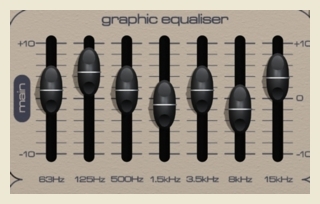 Tone and EQ (equalizer) controls are similar to volume controls, except they only boost (increase) or cut (reduce) a narrow range of frequencies. A 3 dB (decibel) boost in EQ level will double the power for those frequencies, so if the main volume is already driving your loudspeakers at a high level, and you boost any of the EQ sliders, it will likely drive your loudspeakers beyond their design capability and will likely result in damage to a driver(s) and/or crossover. If in doubt, set the controls to the middle (0 dB) and use as little EQ boost as possible, try to get into the habit of cutting. For example, if you want more bass, cut the mids and highs a little and you'll get the same result without risk.